Although they are a bit afraid at first, they end up baking and sharing cupcakes with the scary creatures. 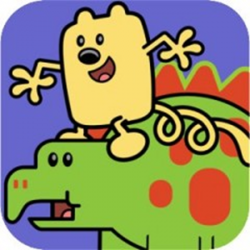 Each page is interactive, with the dinosaurs and Wubbzy’s friends each having something funny to say when you touch them. At the end of the story, a Parent’s Corner will give you some simple suggestions for discussing what happened with your child. This app is a great way to disguise early reading skills practice in the form of play. 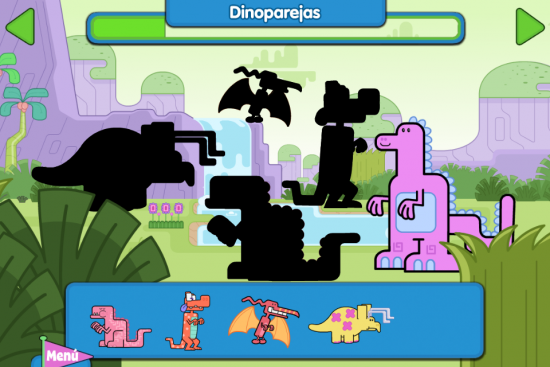 The app can be played in English or Spanish, and can be read automatically or left for you to read to your child. Check out more apps from Cupcake Digital on their website, Facebook, and Twitter. Gracias for the lovely review of our app! 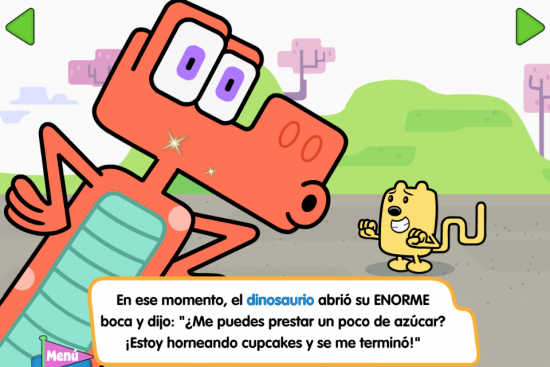 We are so looking forward to releasing many more of these bilingual versions of our apps. ¡Que emocion! Of course, the best solution is for a platform to offer both approaches so all of the issues can be addressed.